I have been meaning to finish this project for....three years. 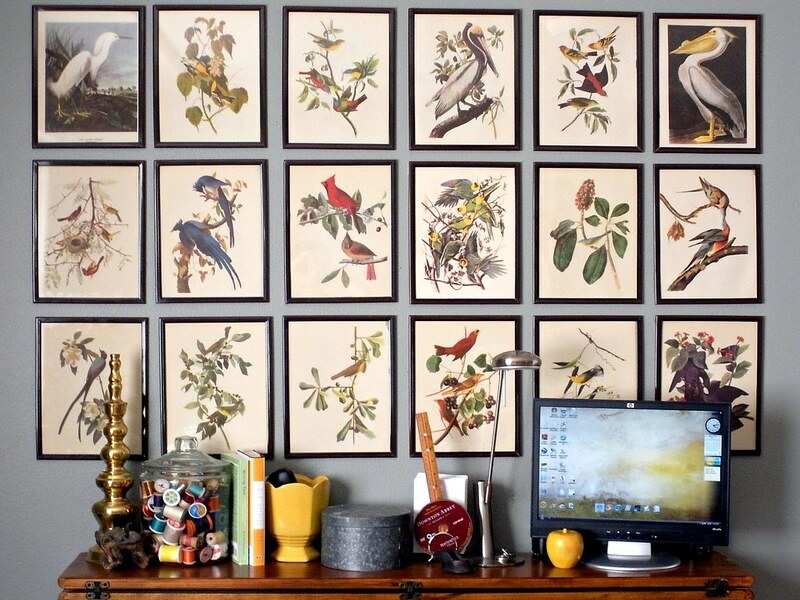 Some of my Audubon prints (taken from an old and moldy family book.) On the wall. That's all I needed to do. 18+ 4 broken $1.50 frames from Michaels, a headache and a pain in the neck later, it's done. The frames were a pain, but they do look nice, especially from a distance. And the prints look exactly as I wanted- together, in thin espresso frames against my grey walls. Nice and big impact. Pretty low-budget. Never, never, never buying those frames again! It looks Wonderul!M I love it! Alas, I have too made similar purchases like these frames...in the end glad when it's over, but NEVER again!